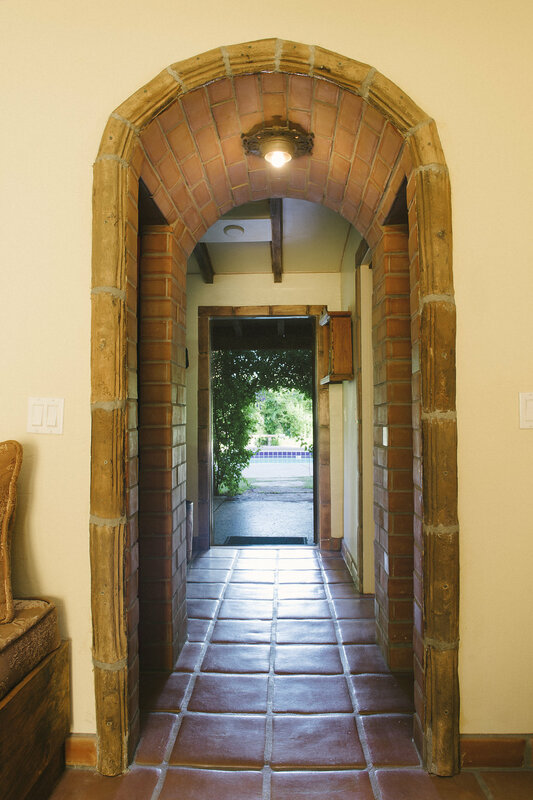 Casita Antigua is a large Spanish-style suite with its own kitchen and walk-in closet. 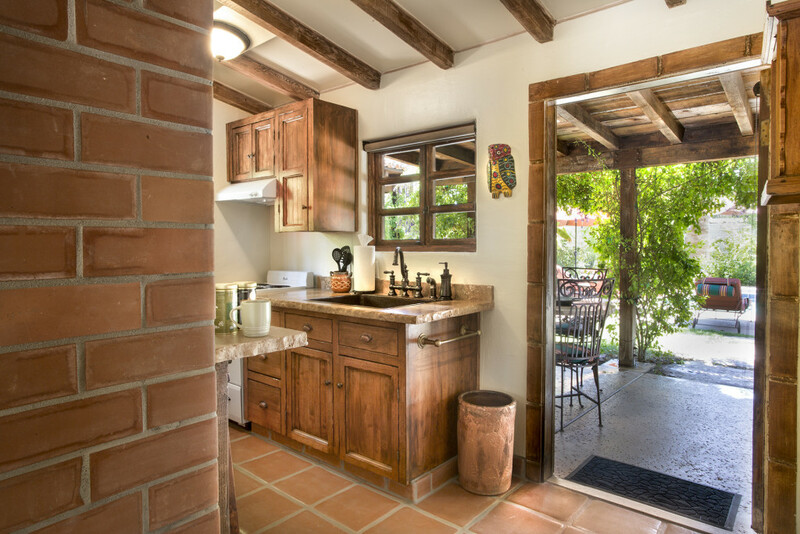 The kitchen is equipped with dishes, tableware, coffee pot, microwave and refrigerator. King size bed with imported comforter and high thread count sheets make for a comfortable overnight stay. 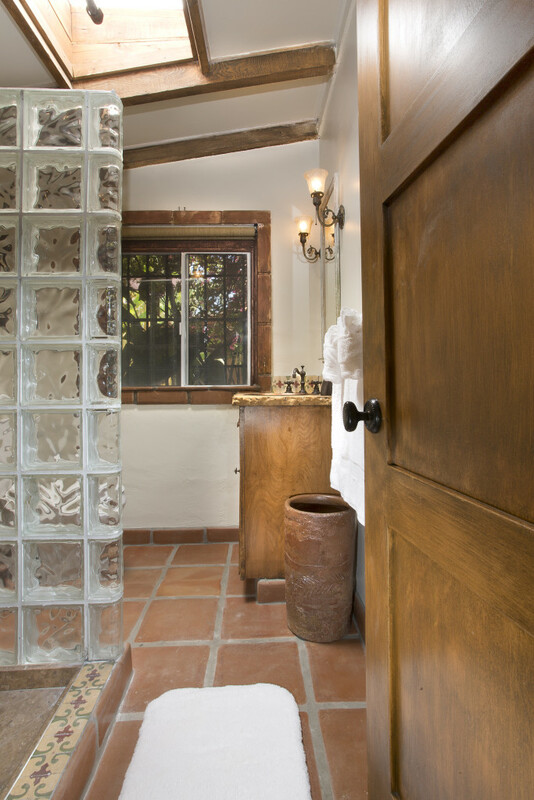 The bathroom is remodeled and includes a walk-in shower. White cotton robes. Wifi and Apple TV. 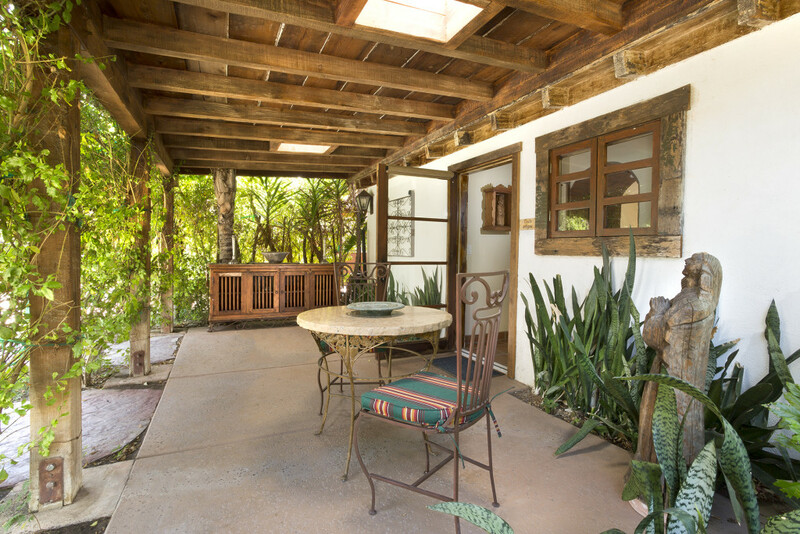 This beautiful suite has its own large covered patio surrounded by lush gardens and sits next to the warm saltwater pool and rose garden.